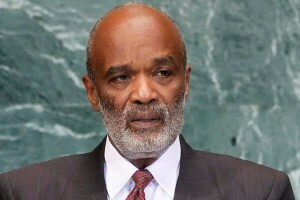 PORT-AU-PRINCE – Former Haitian President René Préval has died at the age of 74. Préval, who led the country during the devastating 2010 earthquake, passed away suddenly at his home in Haiti’s capital today. It was subsequently confirmed that he had a stroke. His wife, Elisabeth Delatour Préval, who was travelling at the time of his death, told the Miami Herald that she could not believe her husband had died. She said she had spoken to him several times this morning and he was “in excellent humour”. Jerry Tardieu, a member of Haiti’s Lower House of Deputies, was also in shock. He said he had spent the morning with the former president who wanted to discuss a law to protect national production. Tardieu said he left Préval’s home around 11 a.m., and he “looked no different than any other day”. President Jovenel Moïse, who tweeted that he was saddened by Préval’s death, described the former leader as a “worthy son of Haiti”. Condolences have come from the international community, including from president of the Inter-American Development Bank Luis Alberto Moreno and US-based Haitian singer Wyclef Jean who attempted to run for president in 2010 when Préval’s second term was nearing an end. Préval, an agronomist, served as president from 1996 to 2001, and again from 2006 to 2011. According to the Herald, he is the only president in Haitian history to have served two full presidential terms and not be jailed, exiled or killed.